Ex-Intelligence officer Jake Larson was on a top-secret mission and didn't need some "wife" tagging along. 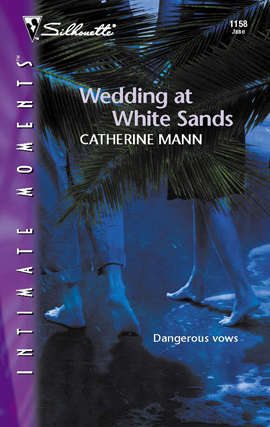 But feisty P. I. Allie St. James had followed Jake to the White Sands Resort on her own investigation, giving them the perfect cover. . . ;as loving newlyweds. Now Jake not only had to expose an elusive criminal, he had to keep his hands off the woman sleeping next to him, and she hadn't a clue who he really was. Allie realized inviting herself on Jake's "vacation" wasn't wise, but she couldn't miss the opportunity to infiltrate the resort and get to know the all-too-secretive businessman. Then true danger struck when they were forced to take all-too-realistic wedding vows. Suddenly they were facing the toughest opponent of their lives-their own long-hidden desires!